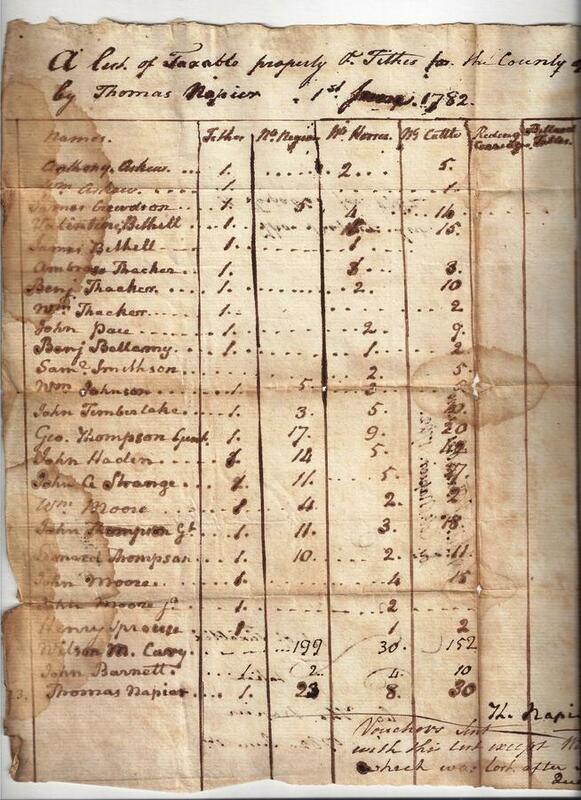 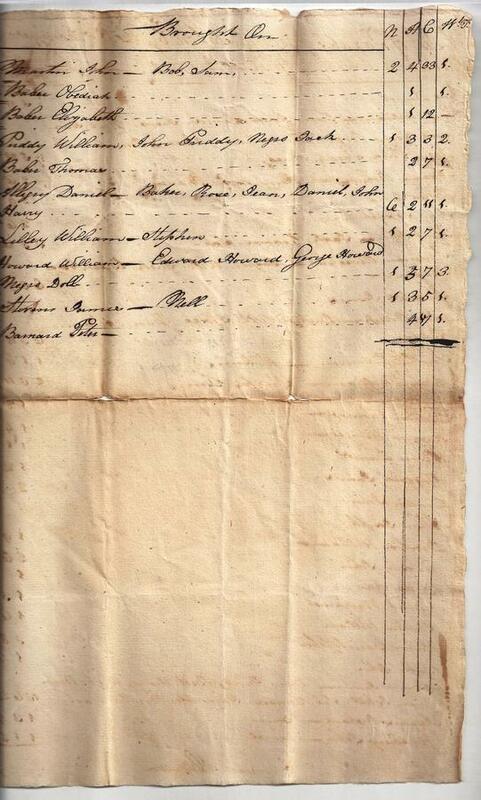 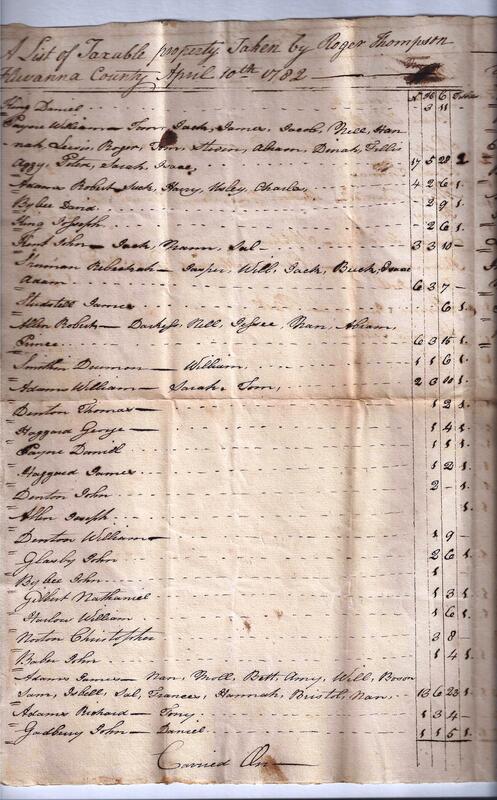 A list of the personal property taxes paid by citizens in different districts of Fluvanna County in 1782. 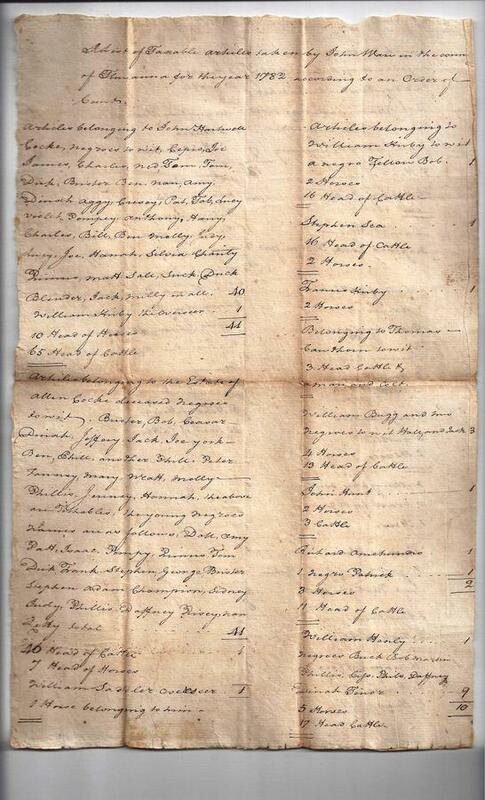 Although these lists do not give a full list of all persons living in Fluvanna County, they do provide invaluable information on some of the families living in Fluvanna in the early years of Fluvanna, as well as giving information about slave ownership and wealth. 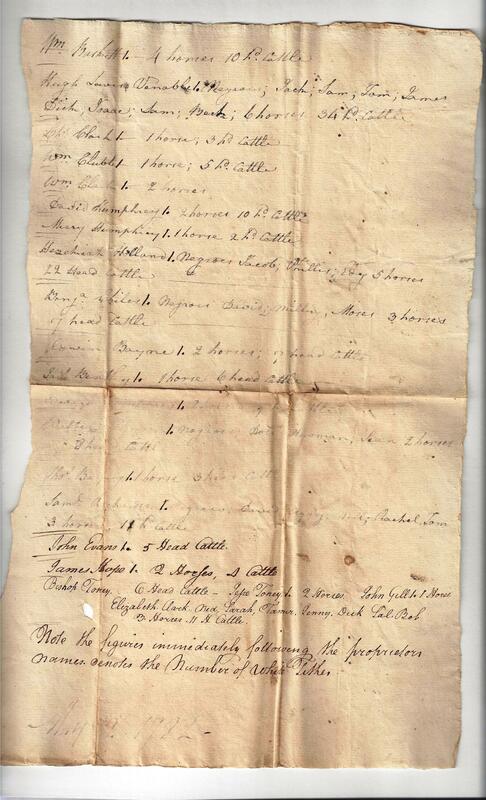 This is a great resource for genealogists looking for information of family members who may have lived in Fluvanna at this time. All rights reserved. 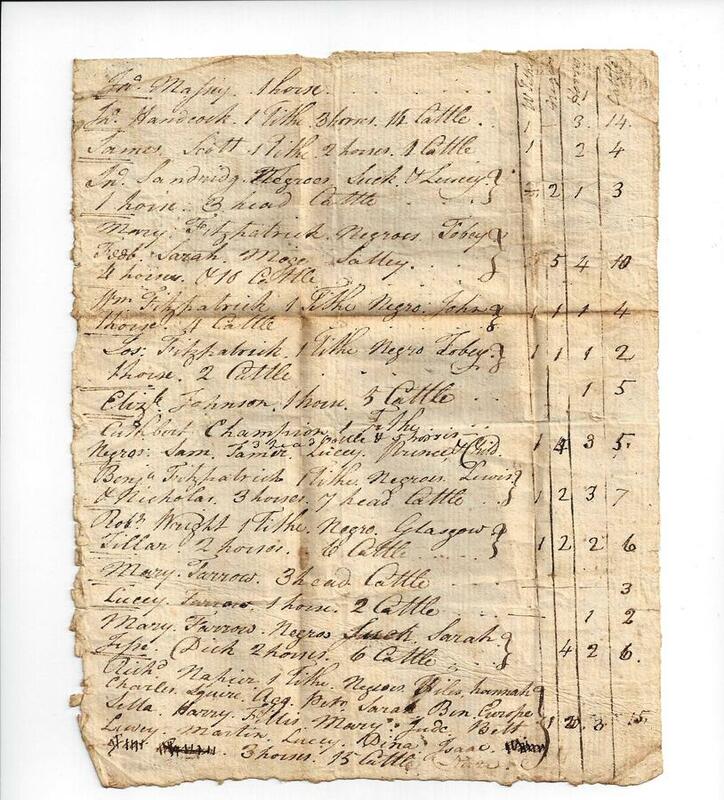 Permission to reproduce any part of this publication in any form or by any means must be obtained in writing from the Fluvanna County Historical Society. 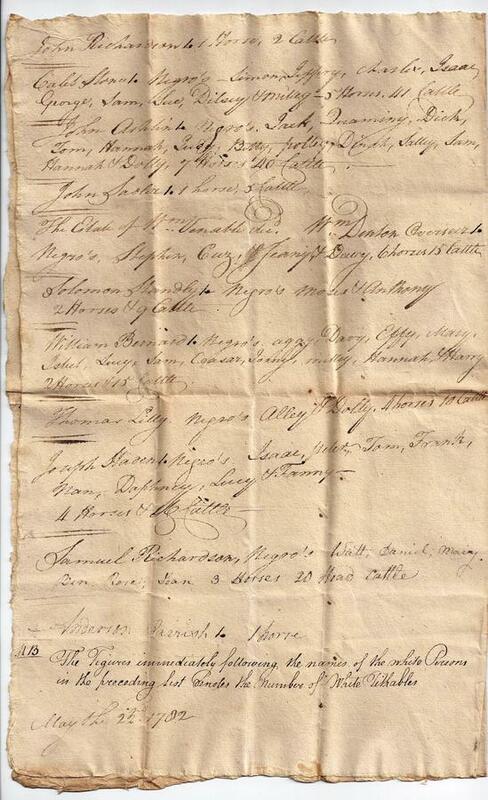 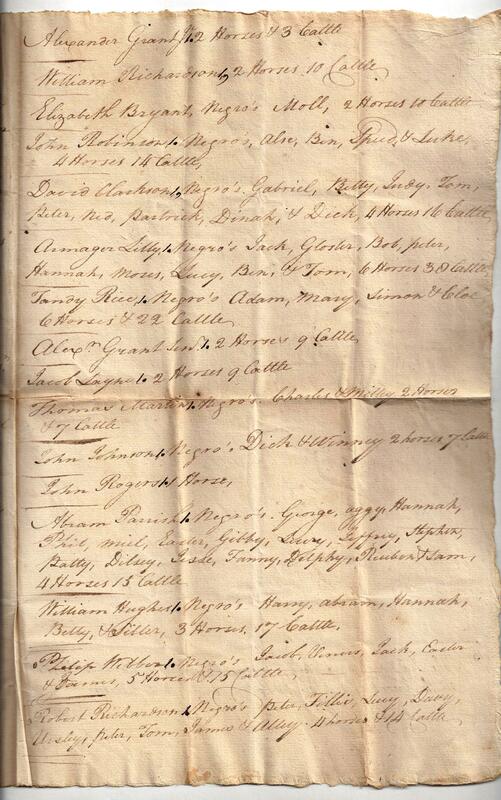 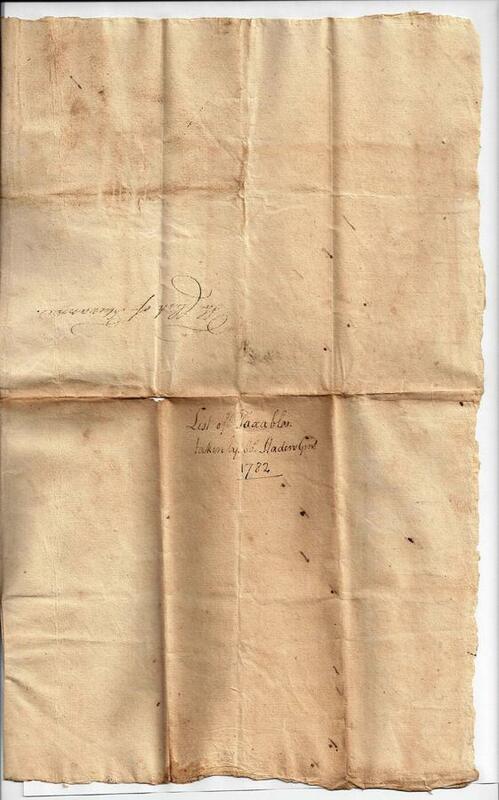 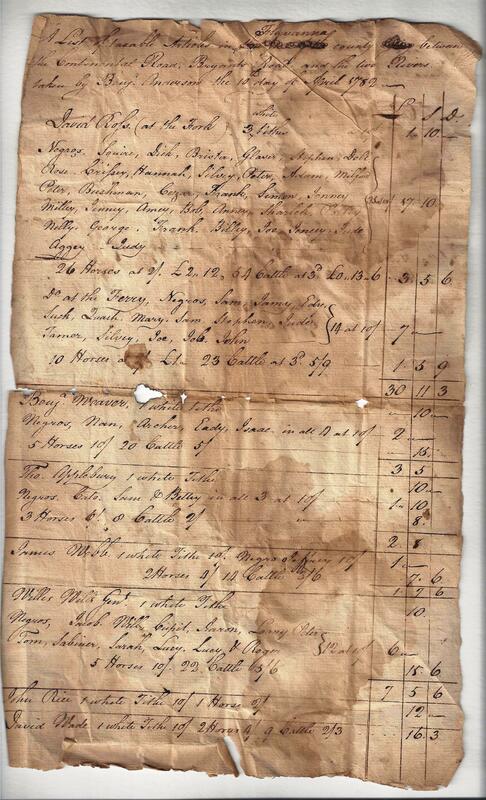 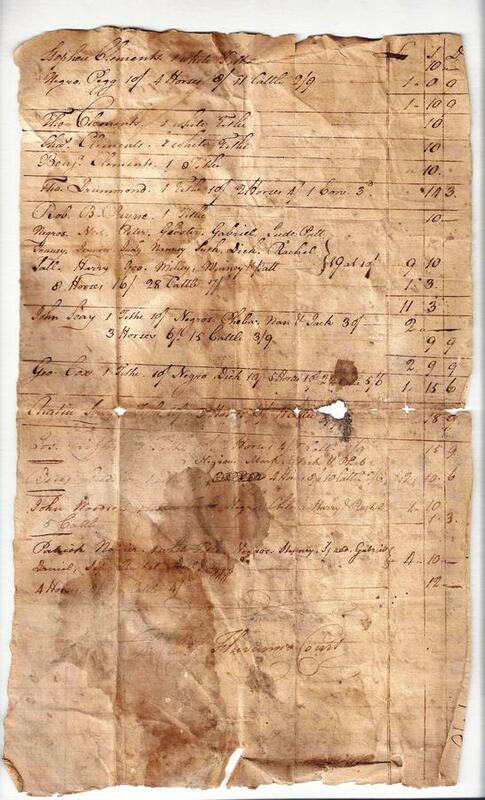 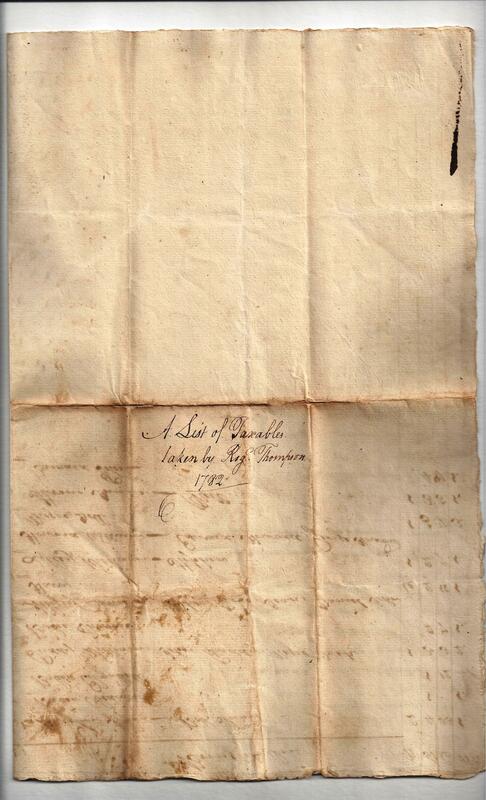 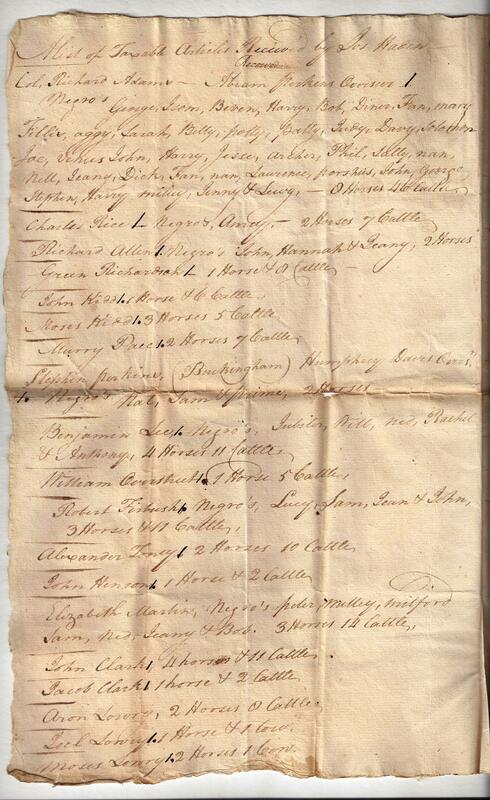 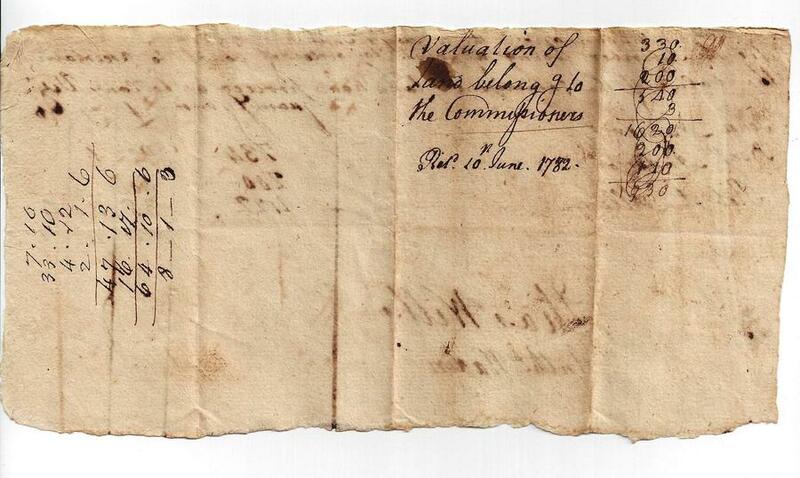 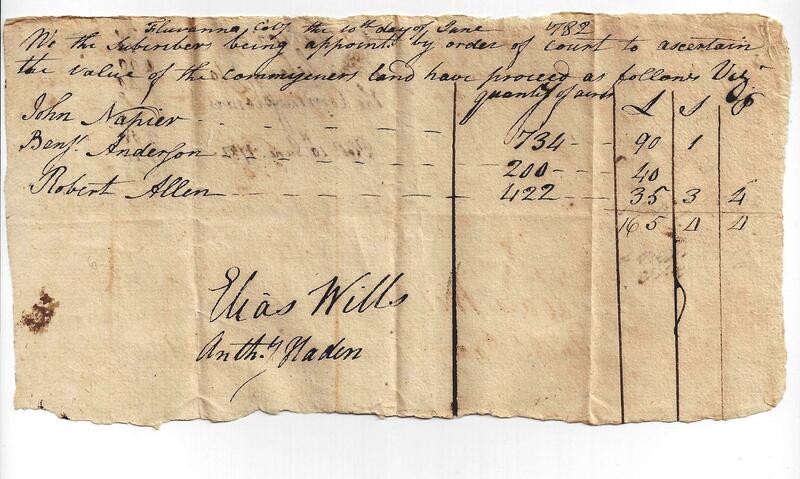 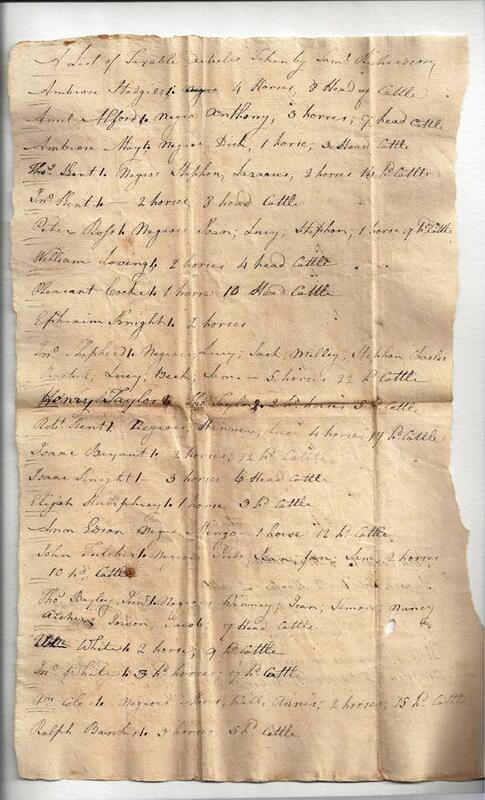 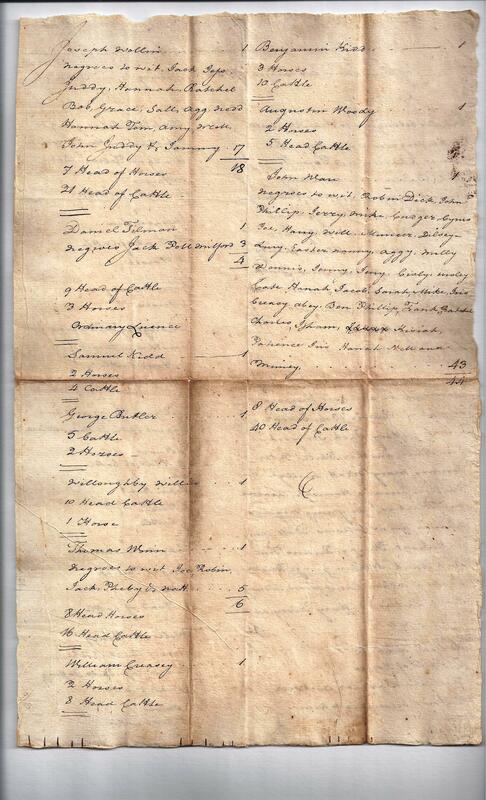 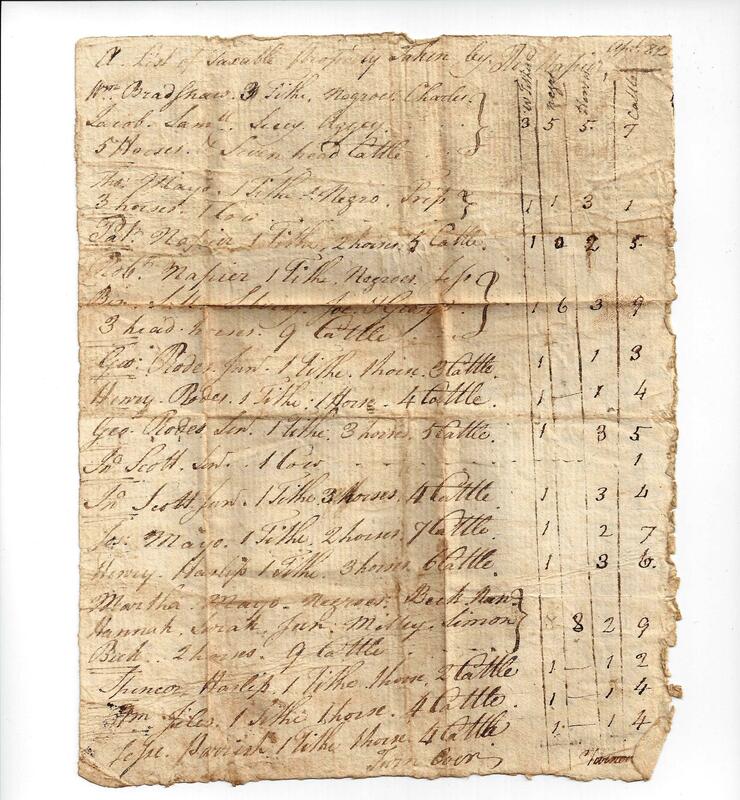 Fluvanna County , “Taxable Personal Property List, 1782,” Piedmont Virginia Digital History: The Land Between the Rivers , accessed April 23, 2019, http://piedmontvahistory.org/archives14/index.php/items/show/274.